The Miskatonic Institute of Horror Studies has recently found a permanent home at Blue Sunshine, and who better to christen the new pad than the writing/directing team behind the most beloved HP Lovecraft film adaptations of all time? 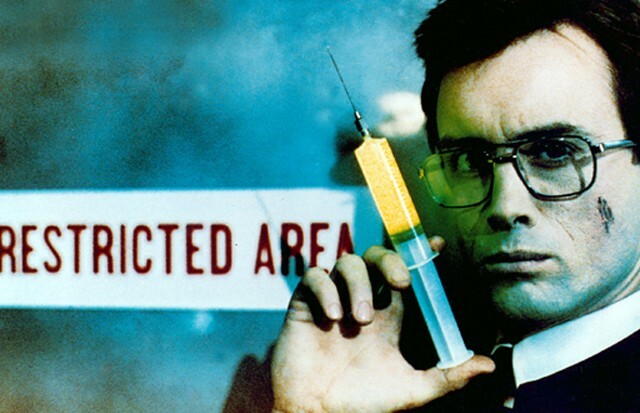 Stuart Gordon and Dennis Paoli ( Re-Animator, From Beyond, Dagon) will be the inaugural instructors at Miskatonic’s new home, and will be delivering a two-hour masterclass on adapting Lovecraft to the screen – the challenges, the techniques and some insight as to why their films stand out amidst a sea of historically troubled counterparts.Their masterclass will be happening at Blue Sunshine (3660 St-Laurent, 3rd Floor) on Sunday July 18th from 2pm-4pm and will be followed by a Q&A period. Seating is limited, as Blue Sunshine is a small space (max 50 people! ), so it is a rare chance to be in an intimate environment with some of the genre’s leading lights. Stuart Gordon and Dennis Paoli – along with cult icon and Re-Animator star Jeffrey Combs – will be in Montreal for the Fantasia Festival to present their one-man play “Nevermore: An Evening With Edgar Allan Poe”. More details at the Fantasia website!